October is one of our favorite months. It’s not just because of Halloween and Horror Movies (though those do play a HUGE role) either. For foodies, October means new fall menus to try! El Palacio Restaurant and Cantina recently not only remodeled their restaurant, but also added some fantastic new menu items! Flash Fried Cauliflower Nachos with Queso Sauce- Looking for a way to enjoy nachos but eat a bit healthier? Well these bad boys are for you! True they are fried, but isn’t eating fried cauliflower better than chips? We think so! 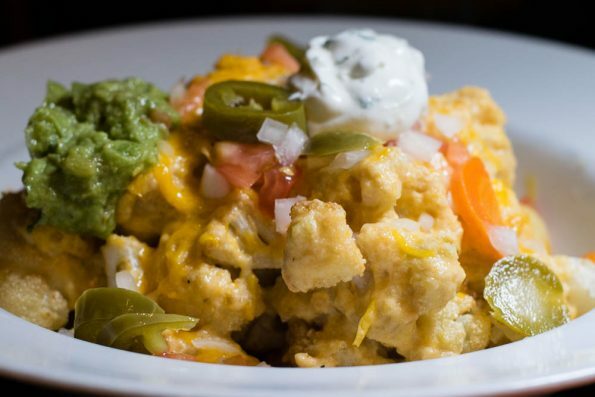 Either way, cauliflower covered in nacho fixings is never a bad thing. 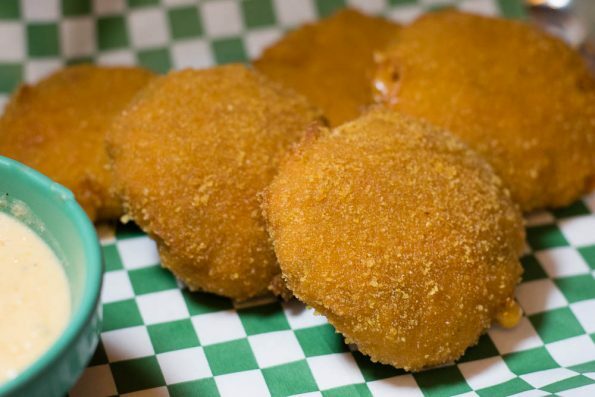 Carnitas Jalapeno Poppers- When we first saw these, we had no idea what they were! They don’t look like the traditional popper. Don’t let that fool you though, they are so much better! Cheesy, meaty, and totally drool worthy! 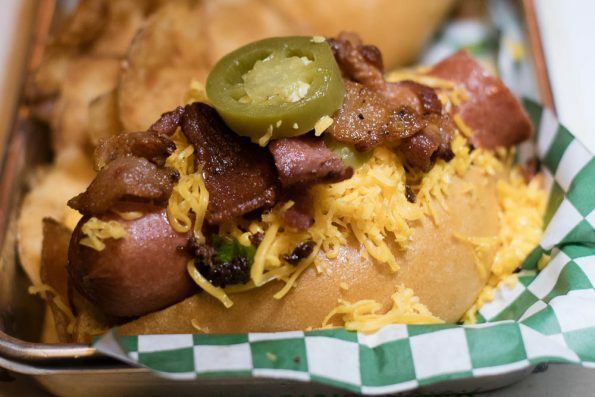 Sonoran Dog- Bacon, cheese, and locally made bun make this hot dog a force to be reckoned with. However, what we love about this being on El Palacio’s menu, is that it isn’t the fare you think of when you go out for Mexican food. We always enjoy convention breaking. Lengua Taco- Lengua has recently become a new favorite type of taco for us. We never realized what we were missing! 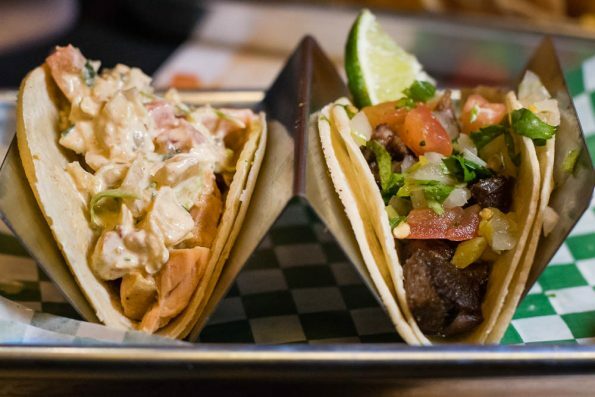 This taco is no exception. Perfectly seasoned and cooked just right, you definitely don’t want to miss it. Just don’t ask what lengua means. 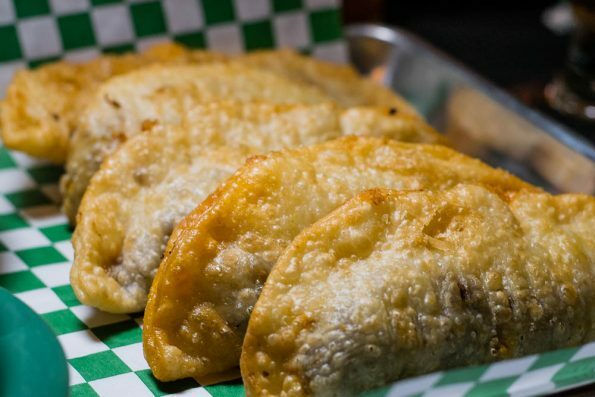 Mexican Style Picadillo Fried Empanada- We were so sad that these came towards the end of our meal when we were so full. We made a concerted effort and tried them. Boy were we glad we didn’t skip them. The outside was perfectly crispy while the filling was loaded with flavor! We really enjoyed the new menu at El Palacio Restaurant and Cantina! We so rarely get over to the Chandler area that it is always a treat to find great reasons to head that way. Have you tried El Palacio’s new menu? What was your favorite menu item? Leave your comments below or use the hash tag #GeekEats! *The Geeks participated in a media preview in order to facilitate this write-up; However, opinions are wholly our own. View our Disclosure Policy for more info.